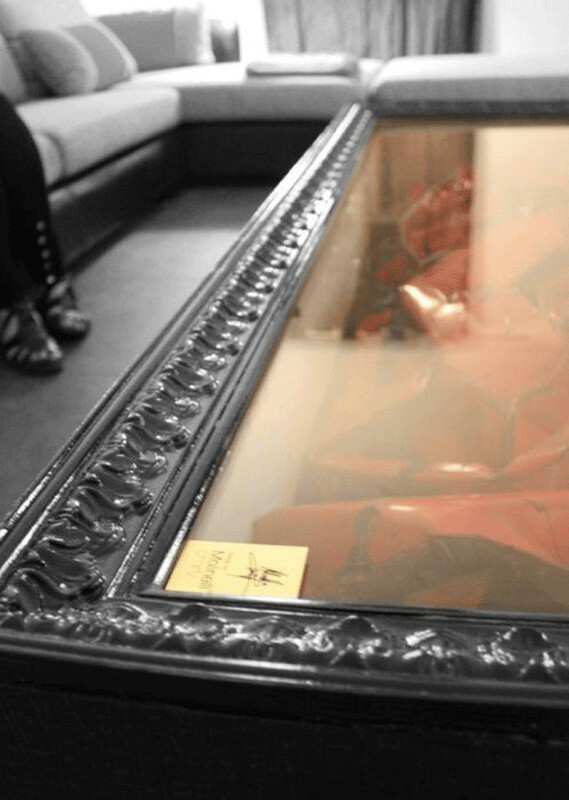 This is the story of a Ferrari that added to the beauty of home decor! 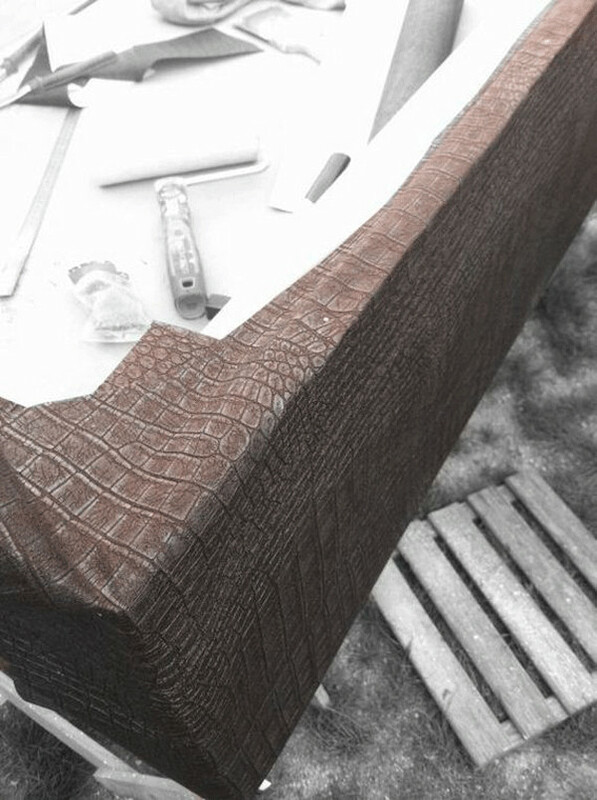 And it is a very rare story too! 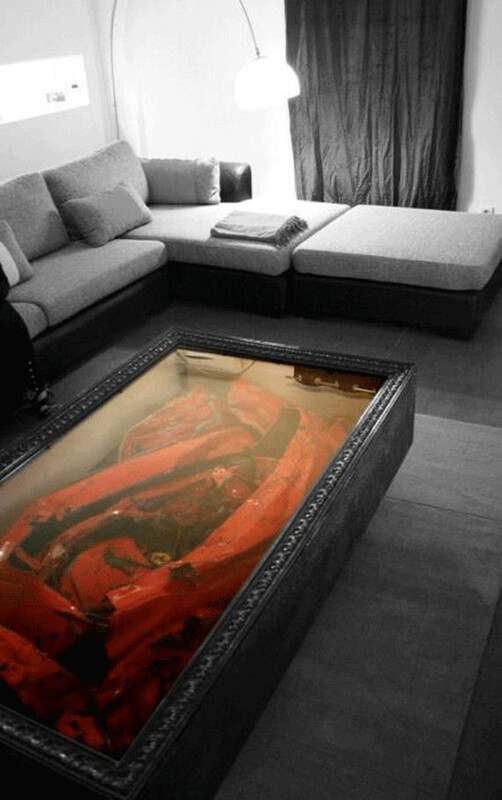 A precious Ferrari inside a coffee table! 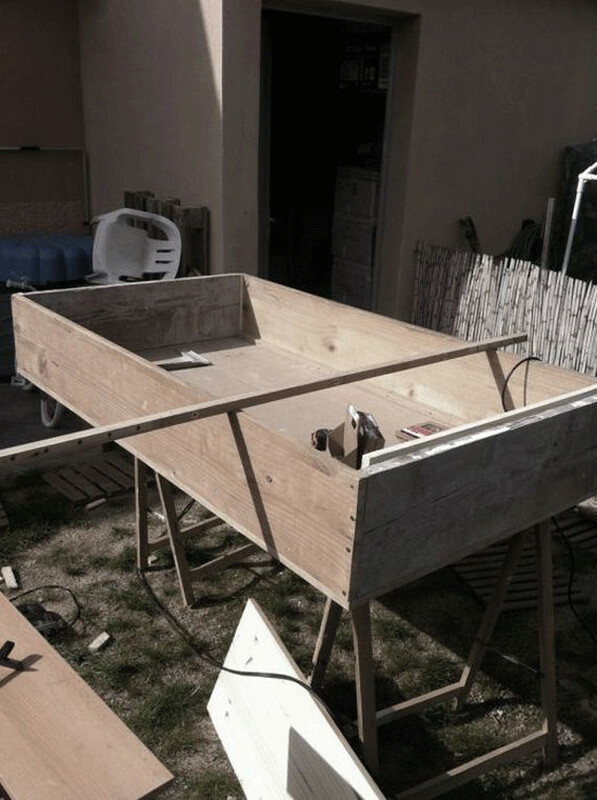 Don’t wonder! 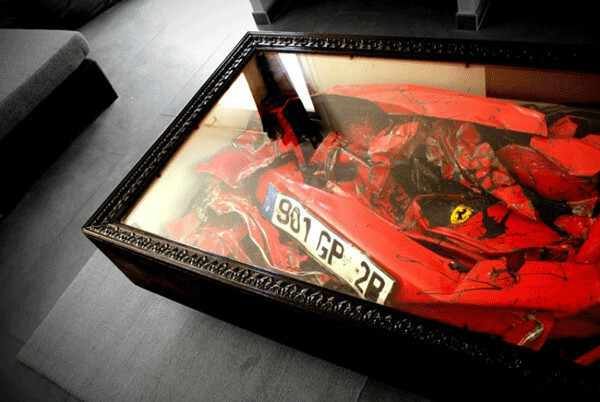 A crashed mind blowing Ferrari became a part of the home decor as a decorative item inside a coffee table! 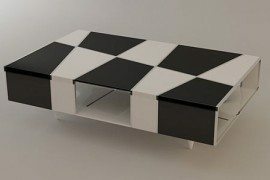 The rare idea of making such a ‘Ferrari’ coffee table came from Charly Molinelli from Molinelli Designs. 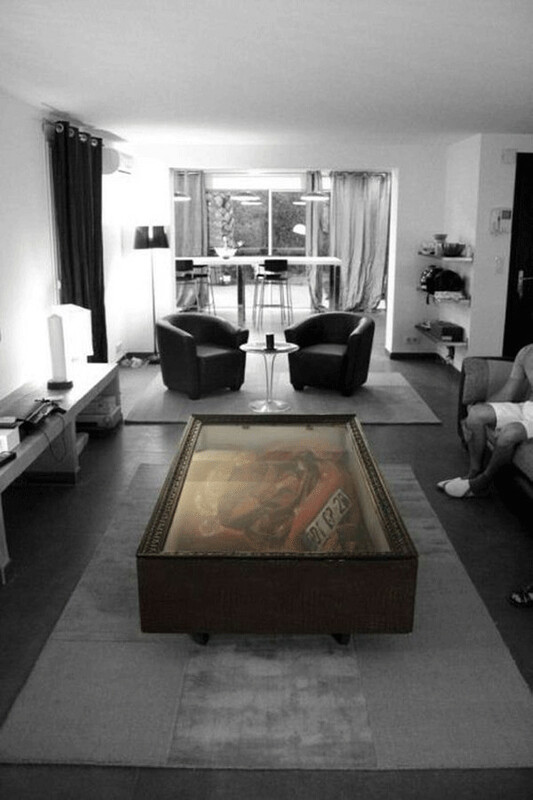 It is an innovative idea, but the sight of this coffee table is really a disturbance for the Ferrari lovers! 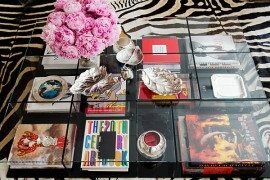 You will definitely get amazed by the scene of the precious Ferrari remaining inside a coffee table and that adds to the ambience. 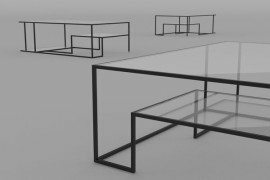 Every one who sees the table will be amazed of its concept and truly will feel pathetic about the cute Ferrari. 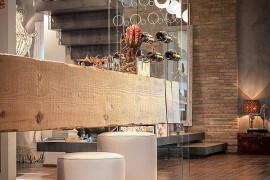 Some may think that this is an honor given for Ferrari. 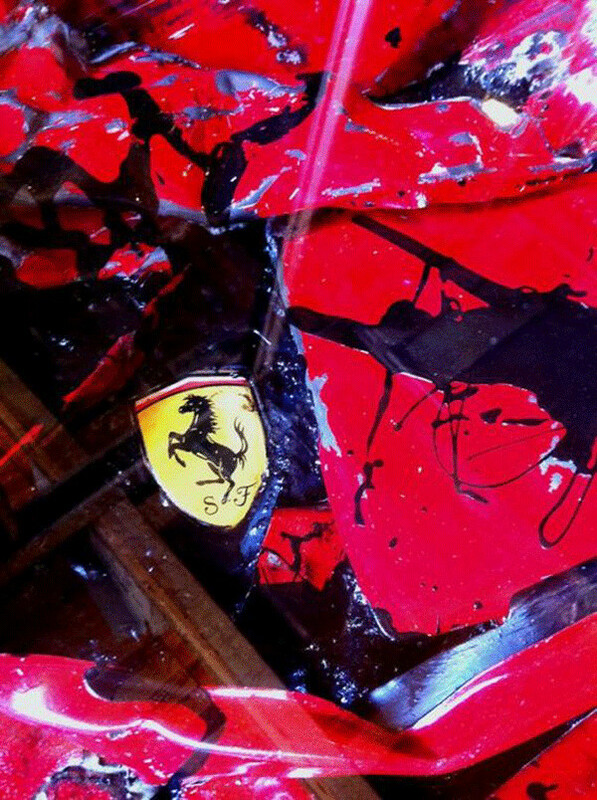 Though it is in pieces, it is the best place a crushed Ferrari could ever get! 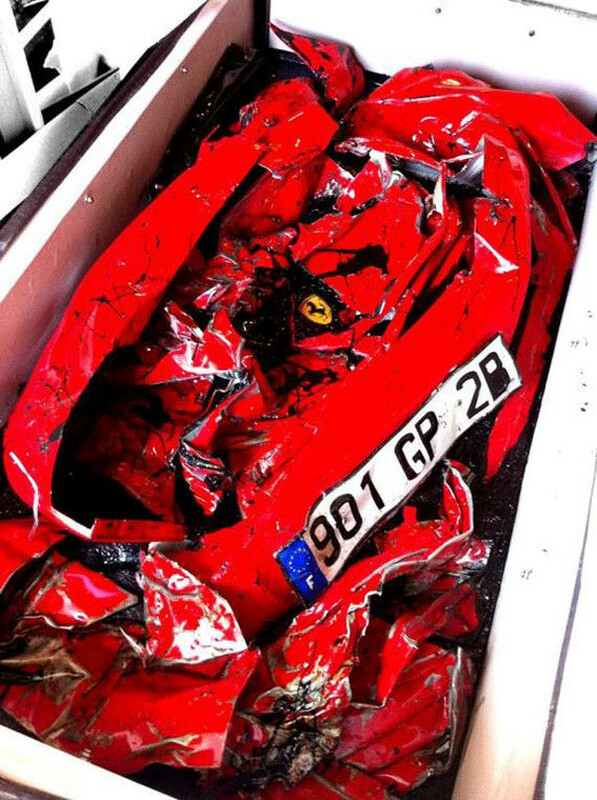 It is a sad, but amazing visual to find the Ferrari logo on top of the crushed car. 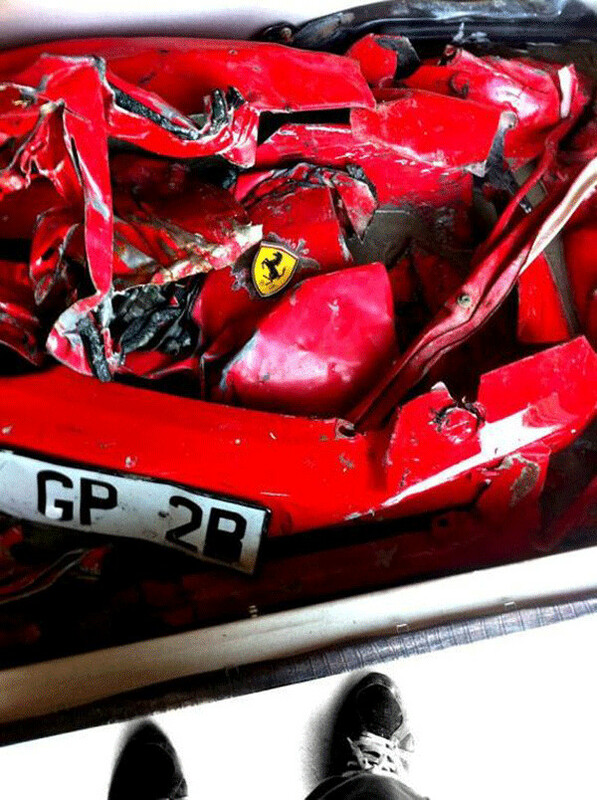 The crushed number plate adds to this pathetic view. 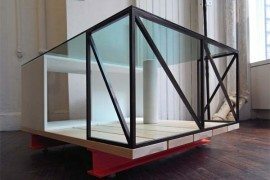 Charly’s new idea may raise a flash on other designers’ minds too. 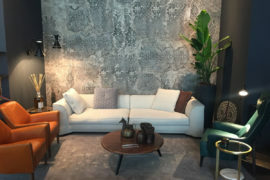 It is a different and wonderful concept that adds to a perfect home decor.